May 18, 2012  Hundreds of pages of documents and other materials offer some new insights into what happened when George Zimmerman and Martin encountered each other on Feb. 26. 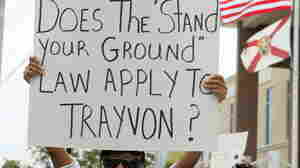 May 16, 2012  The man who shot and killed Florida teenager Trayvon Martin has argued he acted in self defense. Evidence of his injuries may support his case. April 30, 2012  The legal defense team for Zimmerman, the man accused of second-degree murder in the shooting of Florida teenager Trayvon Martin, has created a website, Facebook page and Twitter account. 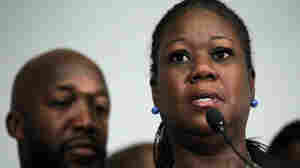 April 25, 2012  In an interview with NPR, Sybrina Fulton said the ordeal taught her she is stronger than she imagined. April 24, 2012  Court papers now posted online confirm that he has entered a plea to the charge of second-degree murder. 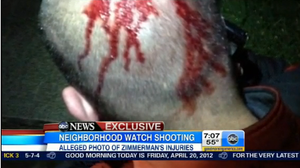 April 23, 2012  The neighborhood watch volunteer who shot and killed 17-year-old Trayvon Martin in Sanford, Fla., must wear an electronic monitoring device. 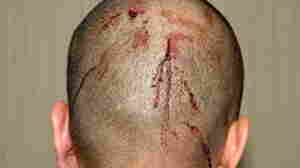 April 20, 2012  The photograph seems to support Zimmerman's claim that Trayvon Martin slammed his head against concrete. 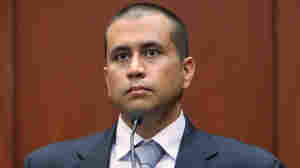 April 19, 2012  The law came into focus after the shooting death of Florida teen Trayvon Martin. April 12, 2012  When he appeared in court on second-degree murder charges in the shooting death of teenager Trayvon Martin, George Zimmerman was accompanied by his new defense attorney, Mark O'Mara. 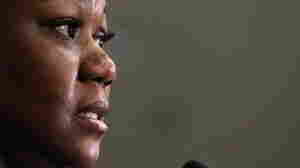 After the hearing, O'Mara told NPR that he doubts the case will go to trial in 2012. April 12, 2012  Charged with second-degree murder in the shooting death of Trayvon Martin, George Zimmerman made his first court appearance Thursday. 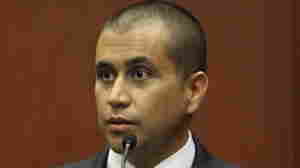 He has maintained that he acted in self-defense when he shot Martin, an unarmed teenager, in Sanford, Fla., on Feb. 26. April 12, 2012  By accusing him of second-degree murder, rather than manslaughter, the prosecution has a higher burden of proof. Some attorneys believe a judge may decide the charge is too severe.